Meet Elaine and Eugene Driker, married 53 years, devoted Detroiters. City boosters. Social activists, prolific fundraisers. 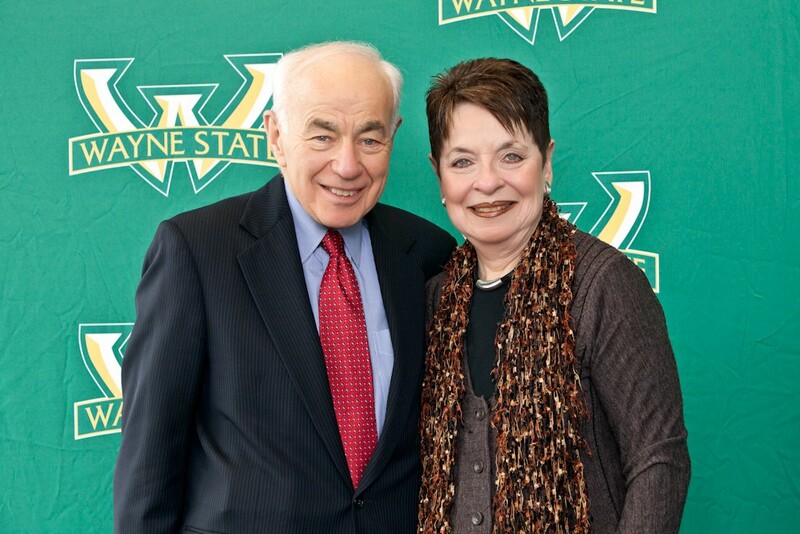 Distinguisher alumni and leading supporters of Wayne State University. Eugene and Elaine Driker have always been exceptional in their choices. Lifelong Detroiters, the Drikers have shared an unwavering love and commitment to one another, to their family, their community and to the city which they have always called home. 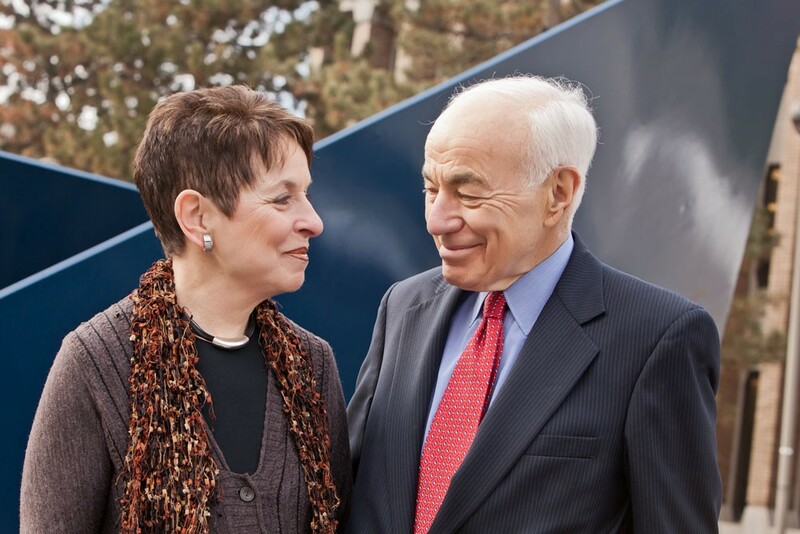 Together, and each in their own professional capacities, Eugene and Elaine have shared a long history of achievement in academics and law, arts and culture, social action and philanthropy, giving generously of their time and energy to benefit the community, the region and beyond. 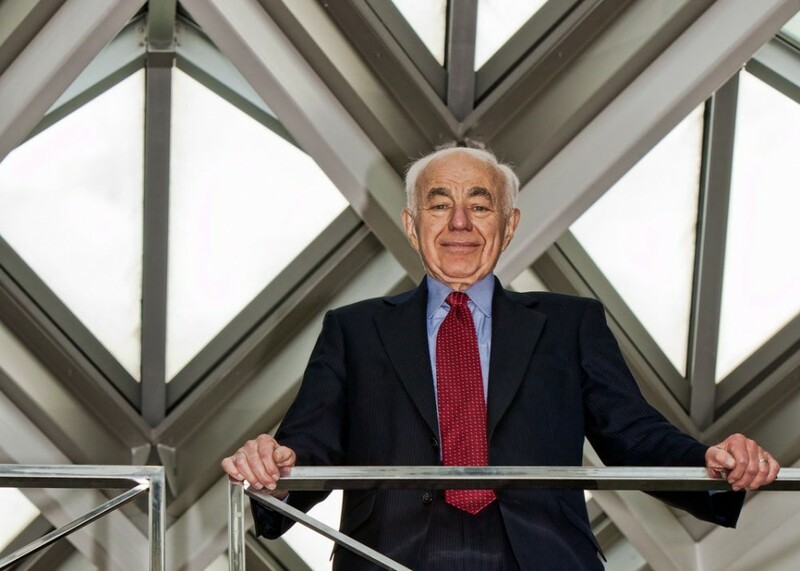 First in his class at Wayne State University Law School (1961), listed in The Best Lawyers in America, Eugene is a founding member of Barris, Sott, Denn & Driker, PLLC, focusing on business law and litigation and governance of profit and nonprofit organizations. He is a member of the Board of Governors of Wayne State University and chair of its Foundation; among his current board appointments, he is Chair of the Board of Directors of the National Yiddish Book Center in Amherst, MA. An educator with a Masters in Urban Planning, Elaine is founder of the Detroit Orientation Institute (DOI) at Wayne State University, a program she directed for 12 years to provide an introduction to the city and region for corporate, nonprofit and media professionals new to Metro Detroit. She is President of Hillel of Metro Detroit and at WSU is a member of the Board of Visitors in the College of Liberal Arts and Sciences. 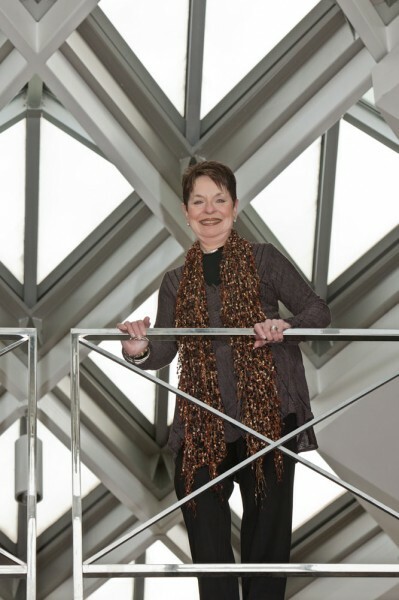 Recently, she was elected Emeritus board member of the Detroit Institute of Arts, having completed 12 years on the Board of Directors where she chaired the Governance and Nominating Committee. As active volunteers in both the Jewish and general communities, the Drikers have held seats on boards, chaired committees, led projects and received a variety of honors. They are the proud parents of Elissa and Stephen and the adoring Bub and Zeyde of Charlie, Caleb, Rebecca, Sophie and Emma. MyJewishDetroit: As lifelong Detroiters, born and educated in the city and current residents, you have made what many might consider exceptional choices. Please share your perspective on why you have never moved to the burbs. Eugene: For us, life in the city is more interesting. Historically American Jewry congregated in large cities, and I think they did so because that’s where immigrants first found their homes. Big cities have always attracted Jews and later generations found city life more diverse, more stimulating, more fun. Elaine: We weren’t that deliberative about our decision to live in the city. We lived in Washington for three years while Eugene worked as an attorney for the U.S. Department of Justice. It was always our intention to come back to the geographic community we had left. We returned in 1964 with a young child, at a point in time when the Jewish community started migrating north and west of the city. We rented a small upper flat in Northwest Detroit. While we realized the community was moving, we saw no need to be a part of that move. The economics of the situation were quite remarkable because the houses in northwest Detroit were literally being given away. So we bought a house in the Greenacres section of Detroit, near Eight Mile and Woodward, for $19,000. We lived there for ten years and we had the richest life. Fabulous neighbors. Access to the city and all that it had to offer. MyJewishDetroit: In your professional career paths as well as in your volunteer work, both of you have a long history of advocacy for so many causes. What inspired you to begin? What still drives you today? Eugene and I have no desire to stop. The city, the issues, the community, the environment – all keep presenting new challenges that we’re interested in and where we feel we can make a difference. Elaine: In Greenacres, I became active in the PTA at Pasteur Elementary School. Our neighbors then and close friends to this day are Barbara and Carl Levin, and it was on Carl’s first run for Detroit City Council that we got our introduction to the excitement of working on political campaigns and realized how much personal satisfaction one can get if the candidate is someone you believe in and respect – especially if he or she wins. My first foray into activism was a campaign I mounted in my neighborhood called Putting the Green Back in Greenacres, planting trees to replace the elms that had died. I was on the Greenacres Civic Association Board of Directors and I also took a part-time job with the Central Business District Association in downtown Detroit. Out of all this, I recognized I had a love for things city and urban and decided to get a professional degree in that field. Eugene: I believe we live in exciting times here in Detroit. Now some people may say these are cataclysmic times; some people may say these are the worst of times. I believe it’s all your perspective. Elaine: I cut my teeth on Jewish social activism with the Jewish Community Relations Council. 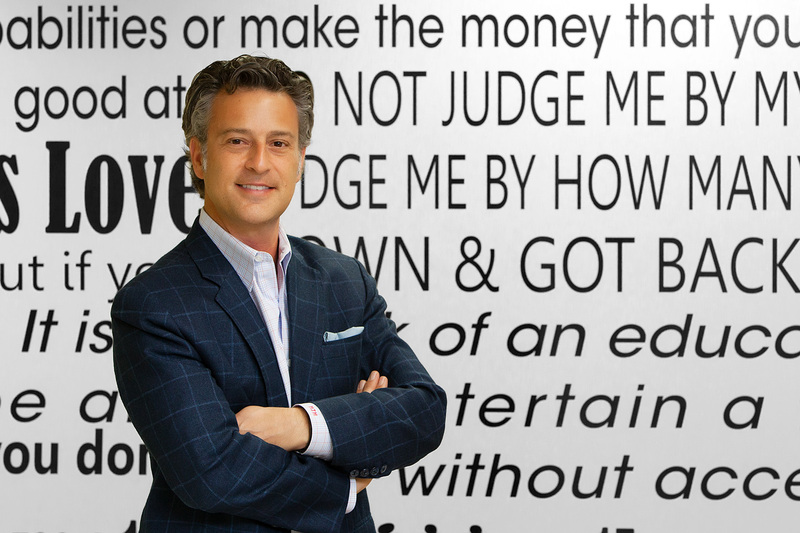 On the board for almost 20 years, I was involved and spearheaded a number of activities. One was the Detroit Jewish Initiative that initially was funded by the Jewish Federation and where we tried to do exactly the kinds of things we’re talking about now — to connect with other communities in greater Detroit. The timing wasn’t right, it didn’t take off as we would have hoped. But, I learned about social activism through the Jewish Community Relations Council and I think that’s important. And the footnote is that Eugene’s father, Charles Driker, was one of the founders of Council in 1937, and here I was, another generation coming full circle. MyJewishDetroit: As we know by experiencing the tour that you give visitors through the Wayne State campus and parts of the city, there’s always been a remarkable synergy between the Jewish community and Wayne State in strides towards building a greater Detroit. How have your professional and volunteer roles converged? What are some of the challenges you still are tackling today? Eugene: I’ve always practiced law in the city. It’s quite common in Detroit to have the boards of nonprofits heavily populated by lawyers: they are problem solvers by training. And they like dealing with organizations and people. When I was president of JVS, nearly a third of our board was made up of lawyers. They weren’t doing that to get clients, they were doing it to help an important agency in the community. As for challenges: did you know that more members of the Jewish community are graduates of Wayne State University than of any other college or university? That’s a fact, but if you ask a twenty-something person where the Jewish community goes to school, they would say U of M. For the past 75 years, Wayne State has been the number one educator of the Jewish community. The challenge we all face is linked to that very fact. For the Detroit Jewish community to continue to be one of the most cohesive and active Jewish communities in America, it’s going to need to retain its young people. Part of the way it does that is by having an exciting city for young people to live, work and play in. Elaine: The challenge – as well as the opportunity – is to interact at a real grassroots level. While the doors are open to institutions like the DIA, the Michigan Opera Theater, the Detroit Historical Society and the Science Center – to support and patronize them and to get involved on boards and committees, there is a growing number of young Jews who are very interested in getting involved in city life, in its neighborhoods, living and working and celebrating in the city’s core. Detroit has drawn in a lot of young people – and a lot of Jewish young people – and it’s pretty exciting to see what’s going on today. MyJewishDetroit: As fervent Detroit-boosters, what do you think makes Detroit a great place to live, work and play? What do you tell young people considering Wayne State or moving to Detroit to pursue their careers? Eugene: The opportunities in Detroit are hidden in plain view. So all it takes is a little imagination and creativity, and the ability to get out of your comfort zone and try something new and different, and you’re going to find immense opportunities here that will pay off and be very gratifying. Elaine: There’s also an intangible factor: the people in the Jewish community and the general community here are remarkable. We’re gritty, we understand challenges, we’re creative and we don’t give up easily. Eugene: History shows that Jews do well when the community in which they live does well. I think that’s one of the reasons Jews instinctively give of their time, their treasure and talent to improve the communities in which they live. MyJewishDetroit: Eugene: In what ways has Wayne State changed since you were first an undergraduate or in your term as a member of the Board of Governors? Fifty years ago nobody thought of Wayne State, itself, as an economic engine. It was a university where you got a college degree and you went out and became your own economic force. Nobody gave much thought to the potential until ten or 15 years ago when cities like Indianapolis, Pittsburgh, Cleveland and Philadelphia, all discovered that “Meds and Eds” were the solution to the urban rustbelt decline. Medicine and Higher Education. Meds and Eds are the key. Now there’s a recognition that Wayne State sits right between Henry Ford Health System and the Detroit Medical Center, and together these three institutions employ 30,000 people, with 10’s of thousands of visitors pouring through them every day. There’s this tremendous potential now with the Biomedical Research Building, a $93 million project being built adjacent and attached to the former Dalgleish Cadillac Building on Cass, representing the largest construction project in the history of the University. What better symbol is there of the revitalization of the city than to take a structure designed by Albert Kahn that held a Cadillac showroom and make it the center of a biomedical research building? MyJewishDetroit: How has the University changed in terms of student population? Eugene: The basic quality of the University when we went to school was to educate the children of immigrants. Fifty-five years later it’s the same. The immigrant population is different, of course, but when I sit on the stage at graduation, the kids walking across are like the United Nations of young people. The university today is a place of access – I like to call it the portal to the American Dream. 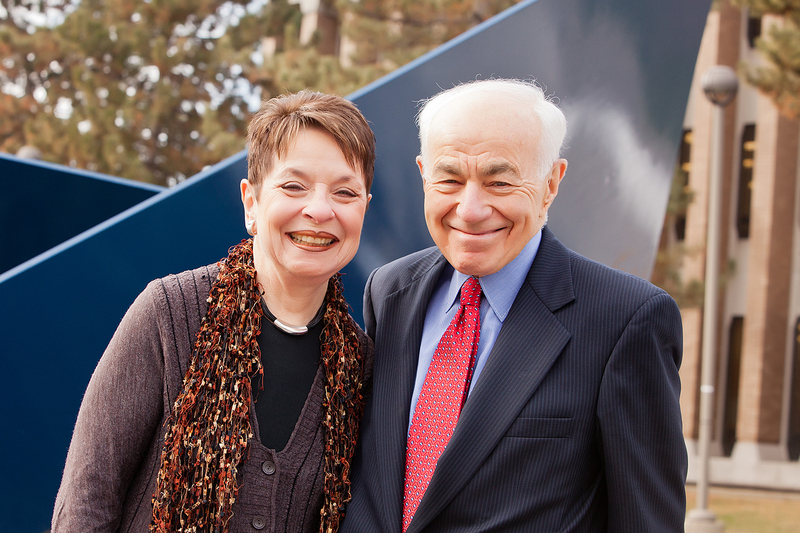 MyJewishDetroit: Elaine, in your term of office as President of Hillel of Metro Detroit, you have raised the bar in fundraising and board engagement. How is HMD changing and what challenges lie ahead? Elaine: I don’t remember much about a Hillel organization on campus when I was a student at Wayne. But since I’ve been on the board, and more recently as President, I can say Hillel of Metro Detroit has changed exponentially. Physically the organization is based at Wayne State, our historical home, but we now cover six campuses, so in addition to Wayne State, we are engaging Jewish students at Oakland University, Lawrence Tech, University of Detroit Mercy, University of Michigan Dearborn and Oakland Community College. Here at Wayne State, in addition to the undergraduates in our HMD family, we have a very active Jewish Law Student Association. Our Jewish Medical Students Association is also very active. We provide a host of activities for these students once we get them engaged. Our goal is to enrich their Jewish identity, to further their Jewish journeys and to inspire their Jewish involvement in the community. Gold ‘n’ Greens, a new dining hall on campus, was inspired by Hillel of Metro Detroit because our kosher kitchen was in need of a very costly repair. We worked with University officials to create what’s become a real gathering place on campus, not just for Jewish students, but for everybody. It’s Kosher, vegan and vegetarian. Our challenge at Hillel of Metro Detroit moving forward is to reach out to more students, to continue to enrich our programming for them, to provide a sense of camaraderie for these young people, to tap into their considerable potential. Of course, we hope they’ll stay in Detroit, but if we strengthen their sense of Jewishness, we have done our job well. There is a statistic that says that students who go to school at Wayne State and these other metro area campuses are more likely to remain in the Detroit area after graduation. Hillel of Metro Detroit is excited to be a part of this trend. Obviously our challenges also include having sufficient funding to do all of the things we want to do. We’re working on developing a fundraising strategic initiative with a consultant right now. In my opinion, Hillel of Metro Detroit is an exciting organization. Personally, it has married my interests in university life, in young people, and in my Jewishness. It is a wonderful coming together. MyJewishDetroit: Eugene, among your many interests, you are deeply committed to Yiddish language and literature. What sparked your interest? Yiddish was my first language. I grew up in a Yiddish speaking household and I went to a Yiddish school as a youngster, through intermediate school, then I foolishly stepped away from it for about 45 years. I can make myself known in a deli in Paris, speaking Yiddish to an old Jew behind the counter. The Yiddish Book Center sparked a return to my roots. It’s interesting that the same resurgence of youth in our cities is taking place in the world of Yiddish. The Yiddish Book Center is full of young people. MyJewishDetroit: Can you share a favorite Yiddish expression? “Az man muz, ken men.” If you must, you can. It’s a good indicator for the way Jews have lived their lives, don’t you think? Eugene: Man’s Search for Meaning by Viktor E. Frankl. A Viennese psychiatrist who survived Auschwitz and developed a philosophy called logotherapy, centered around man’s search to find meaning for life. A compelling book. Elaine: Fireweed, a Political Autobiography by Dr. Gerda Lerner. A story of survival and the courage of conviction by an historian, author and teacher from Austria who was a pioneer and leading scholar in women’s history and founder of the women’s studies movement in higher education in America. An inspirational read.